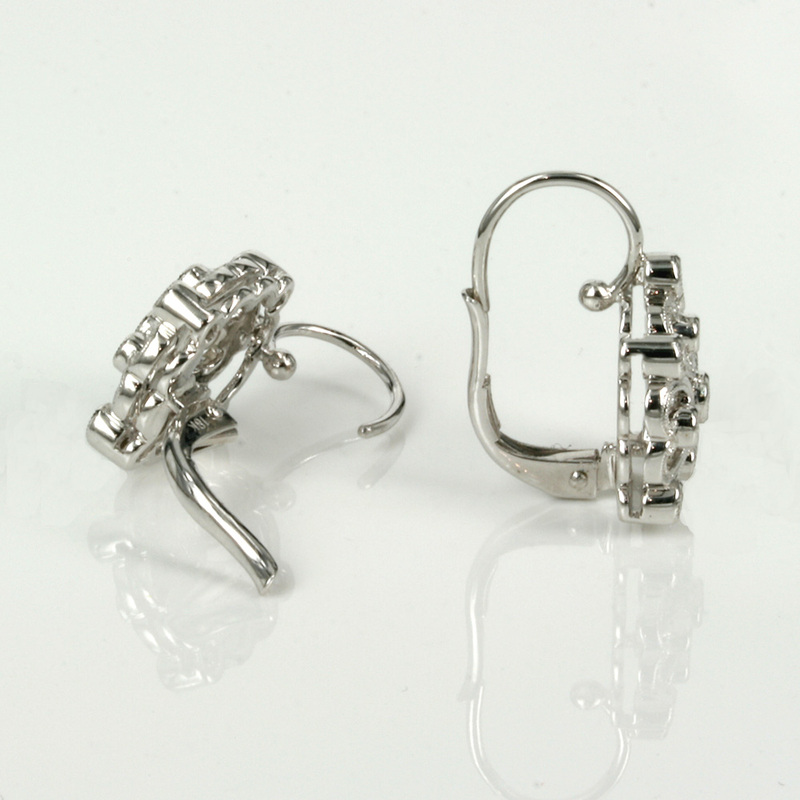 Product code: NS150 Categories: Sold Items, Sold earrings. These earrings will look spectacular day or night and are made in such a beautiful design that is destined to get them admired. Made in 18ct white gold the design of these earrings is somewhat reminiscent of a Gothic style, all the while having so much sophistication and charm to them thanks to the sparkle that comes from the diamonds. Each earring is set with ten round brilliant cut diamonds that total 0.36 carats for both earrings and are G in colour and VS in clarity and are elegantly milgrain set. This kind of setting was often used in Art Deco jewellery and can be seen here on these earrings as the elegant crimping along the edge of the diamonds. The diamonds sparkle beautifully and each earring 12.4mm across by 14.6mm or 19.8mm from the bottom to the very top of the shepherd hooks. Fitted with lever back fittings to make them secure, these are a very elegant and refined pair of diamond earrings for anyone for any occasion. Tag: 18ct white gold diamond earrings.